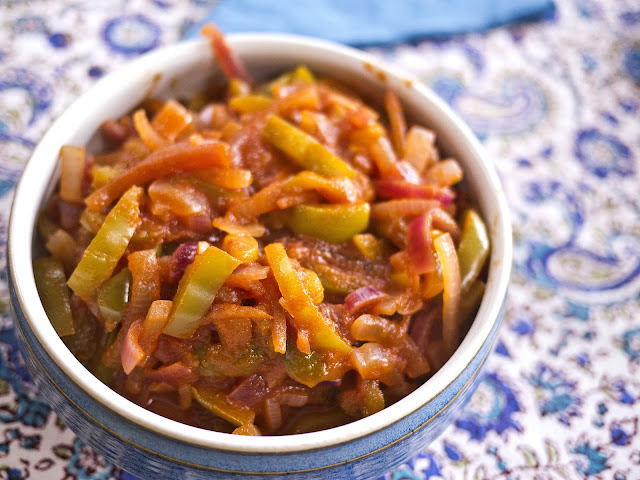 This Hungarian version of ratatouille is often eaten by itself as a main meal, with or without bacon; but can of course also be used as a side dish. Sauté the onion and peppers in Fry Light until soft. Add the passata, salt, pepper and paprika and stir well. Simmer for a few more minutes before serving.